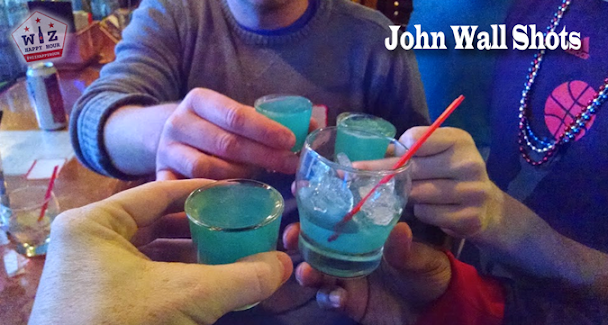 "A round of John Walls for me and my friends!" 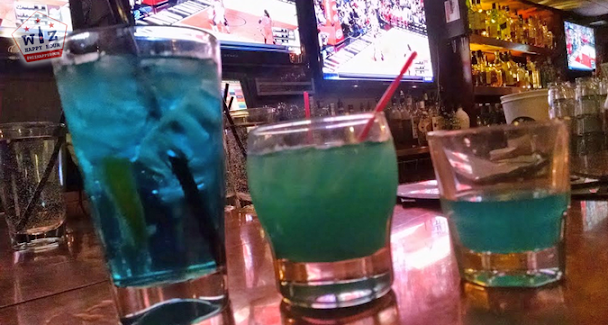 As somebody screamed that quote out to the bartender she was already dishing out a mysterious blue liquid in shot glasses to other patroons of the bar. 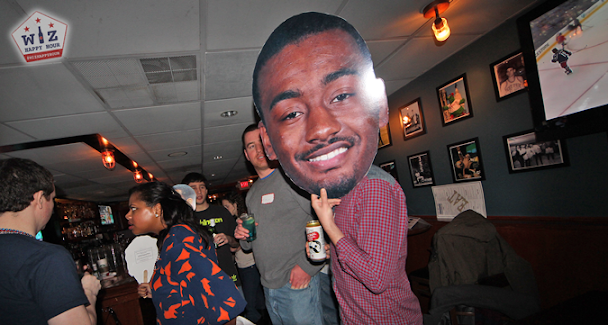 People were cheers-ing to John Wall's All-Star Starter selection and guzzling down the blueness like it was water. But it sure wasn't water. It was the John Wall shot. 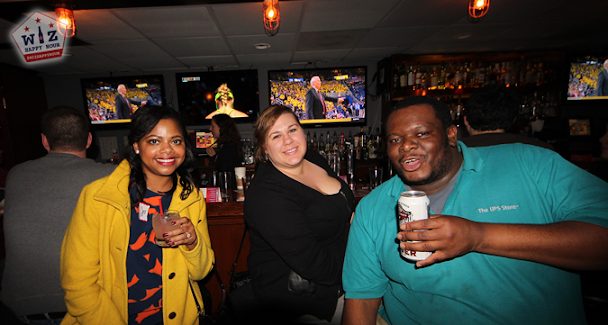 A large group of Wizards fans gathered on Saturday night to watch the Wiz take on the Portland Trailblazers at Ventnor Sports Cafe in Adams Morgan. 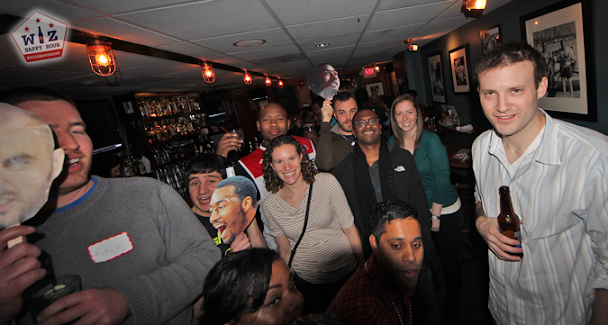 Fans arrived an hour early for power hour and enjoyed custom cocktails created by host Ventnor Sports Cafe like the Polish Hammer Punch, Wes Unseld Rickeys, and of course, John Wall shots. 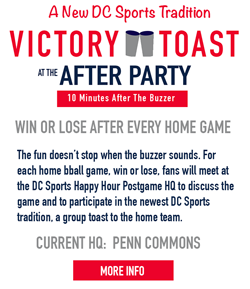 This turned out to be another great Wizards crowd, and with all TVs tuned into the Wizards game and the audio over the speaker system it was most likely the ONLY place in the DMV that could make that claim. Fans not only watched the game but cheered, clapped, booed, yelled at the refs, and changed things like "MVP" and "Let's Go Wizards". 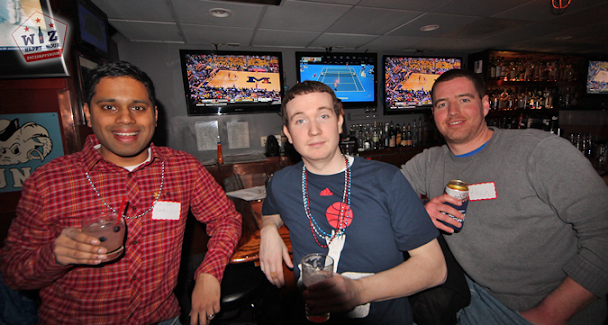 We even had some special guests like Adam McGinnis from Truth About It, Dan Steinberg Washington Post Sports Columnist, and Clinton Yates also a Washington Post Columnist. 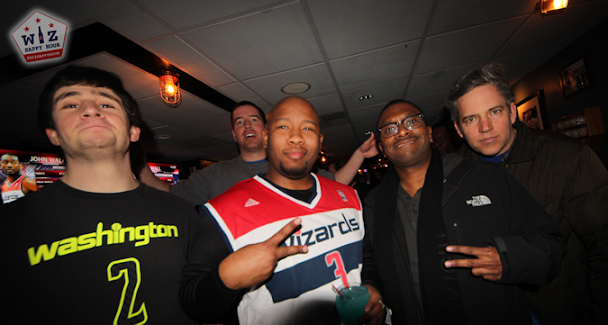 It was definitely the place to be if you are a Wizards fan. Swish! I'm ballin! I'm so awwsome! 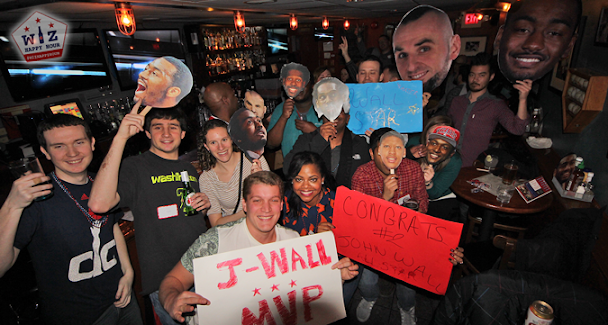 The Wiz didn't end up with the victory but it was a celebration nonetheless as fans were very excited that John Wall was voted a starter in the All-Star game this year. Fans took to the microphone and recorded brief congratulatory messages to John for this great achievement. While we hope somehow John will end up seeing it, we take comfort in knowing that there are a lot of passionate Wizards fans out there who care about the team and the players. 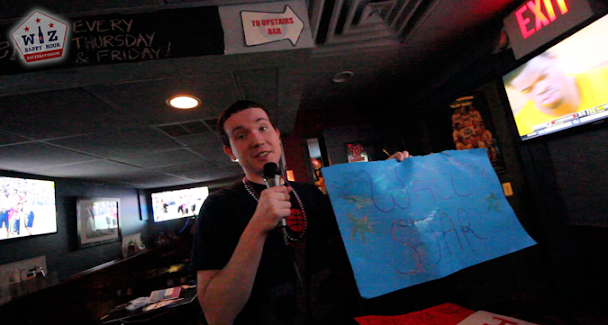 As we do at most of our special events we gave away a bunch of great prizes. Every fan walked away with a free coozie and bottle opener courtesy of Bud Light. We gave away a Wizards T-shirt as well as a few cool camping chairs. Just another way to have some fun! 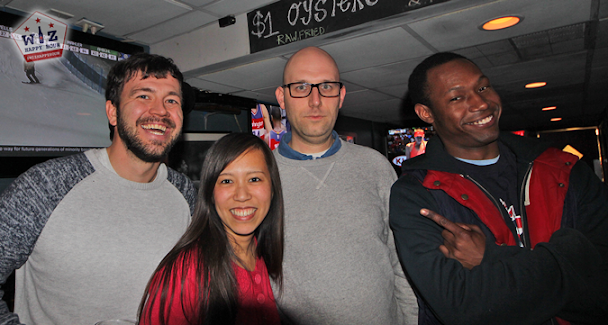 We had an amazing time at Ventnor Sports Cafe. 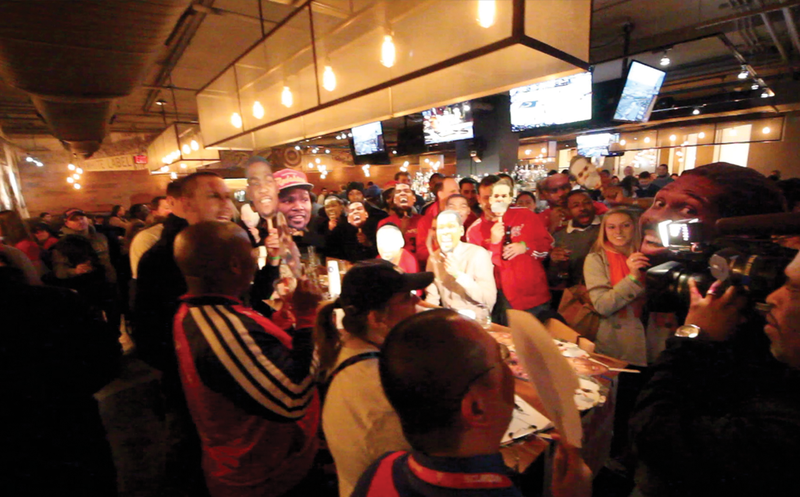 The staff was awesome, they let us have a lot of fun, and Wizards fans came out in good numbers to show support for the team. 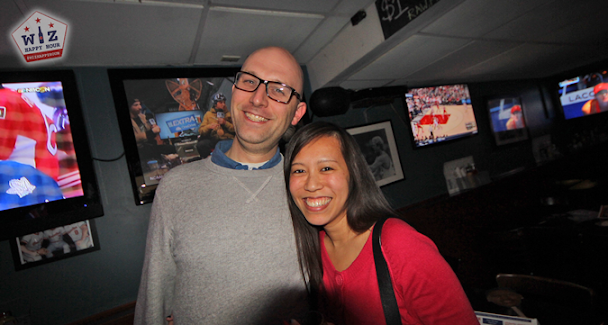 We hope you can join us for the next one!